VietNamNet Bridge – “Fifty percent of the retail market in Vietnam has fallen into the hands of Thais, and the domestic retail market is already ‘dead to the shoulder,'” said Vu Vinh Phu, Chairman of the Hanoi Supermarket Association. The race to own Big C Vietnam chain has finally come to an end after almost half a year, with the victory belonging to the Central Group, a Thai group, with the value of $1.4 billion, higher than the predicted number of $800 million. Big C Vietnam’s new owner – Central Group – is not a stranger. Previously, the group marked its presence in Vietnam through the acquisition of 49% stake in the electronic supermarket chain of Nguyen Kim. Thus, both large retail chains of Metro Cash & Carry and Big C Vietnam have been sold to Thai groups. And after the Big C Vietnam deal, up to 50% of the Vietnam’s retail market is now in the hands of the Thais. The Chairman of the Hanoi Supermarket Association said that Thai firms will produce goods in Thailand and transport it to Vietnam. Thai products are going to be on the shelves of 43 stores and 30 shopping centers of Big C Vietnam. “I have said many times that when the Thais occupy 50% of the market share, both Vietnamese producers and consumers will become hired workers,” Phu said. Phu warned, “the risk of death” is at the shoulder because the market share is narrowing for domestic products. To sell their products at supermarkets, Vietnamese suppliers have to satisfy a lot of conditions and have to pay high discount. The Vietnam Competition Authority (VCA) has asked for details of the Metro supermarket acquisition by a Thai company in accordance with Vietnam’s established laws on competition, reported Vietnam News. According to Tuoi Tre newspaper, VCA’s Deputy Director Dang Phuong Nam recently signed a document to request Mega Market Vietnam which operated the Metro supermarket chains to explain the acquisition process. 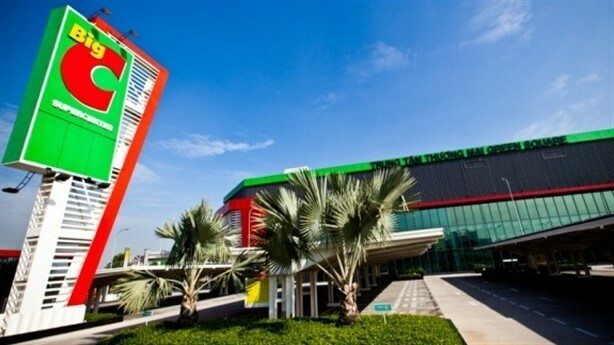 Mega Market Vietnam was the new name of Metro Cash & Carry Vietnam after the acquisition of Thailand-based TCC Holding Company into the supermarket chain. In January, Metro said TCC Land International Pte, Ltd, a subsidiary of TCC Holding Company Ltd, has acquired its complete operations in Viet Nam for €655 million (US$706 million). The VCA, in the document, said that the request came following a proposal from the HCM City Union of Business Association that legal compliance of foreign-invested retail firms needs to be checked to ensure healthy competition. Metro must report the details before May 30. According to the VCA, Metro has changed its business registration certificate for the ninth time on January 25 to become Mega Market Vietnam. The VCA said that the company was founded and operated in Viet Nam so it must comply with the country’s established laws on competition. Mega Market Vietnam now operates 19 wholesale supermarkets throughout the country.